Texas Senator is caught on tape yelling at school children and parents during a PTA Rally Day discussion about education. With Betsy DeVos now heading the Department of Education, Americans are hearing more and more about school vouchers. 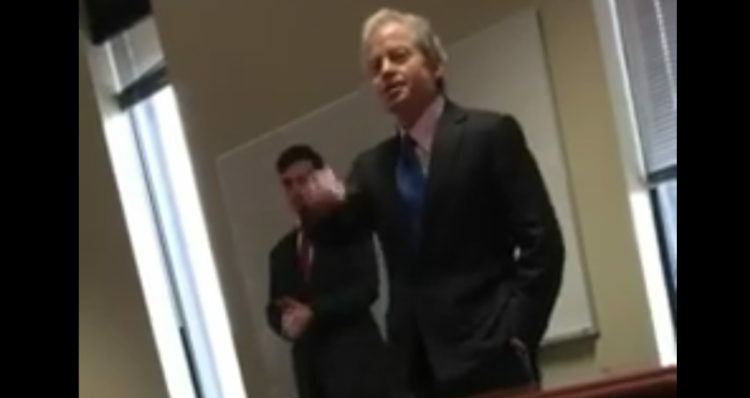 Texas State Senator Don Huffines was captured on video on Monday lashing out at students from the Richardson I.S.D. during a discussion about education as part of the Texas PTA Rally Day events hosted in Austin, Texas. Huffines can be heard exploding on her, calling her selfish.